(AKS-2: displacement 13,910; length 459 feet 2 inches; beam 63 feet; draft 26 feet 5 inches; speed 17 knots; complement 199; armament 1 5-inch, 4 3-inch; class Castor). Pollux (AKS-2) was laid down by the Federal Shipbuilding and Dry Dock Co., Hoboken, N.J. as SS Comet 26 May 1939; launched 16 December 1939; acquired by the Navy 16 January 1941; converted to a general stores ship by the Brewers Shipbuilding and Dry Dock Co., Hoboken, N.J.; and commissioned 6 May 1941, Comdr. Hugh W. Turney in command. Pollux was ready for sea 24 May 1941, and served with the Atlantic Fleet on regular provisioning cruises. 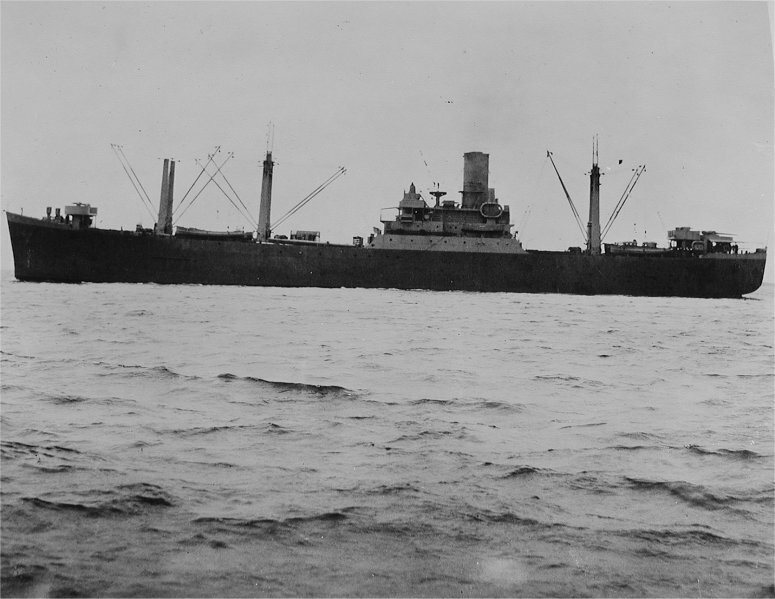 On 18 February 1942 Pollux and Truxtun (DD–229) grounded during a storm off St. Lawrence Harbor, Newfoundland at Laun’s Point and Chambers Cove respectively, and were lost. Only 181 survivors could tell of the fate of the 205 souls lost. At 0414 on the 18th searchlights were sighted revealing land 2 points on the port bow. The Commanding Officer of Pollux had just entered the bridge from the chart house, and immediately gave the order for full speed astern, hard right rudder and sounding collision quarters. But it was too late and 3 minutes later the ship grounded. Realizing that she was hard aground and starting to go down slightly by the head, the Commanding Officer ordered full speed ahead to prevent the ship from sliding off and sinking in deep water. Due to the extremely difficult surf caused by the gale raging in the Atlantic and the bitterness of the winter weather loss of life was heavy on both vessels. Heroic efforts to swim lines ashore failed due to the inability to handle them when they became oil soaked. Some of the crew attempted to swim ashore, many unsuccessfully. Finally lines with a boatswain’s chair were rigged to a ledge and the remaining personnel were conveyed ashore. Truxtun broke up almost immediately after grounding and soon thereafter Pollux did likewise. The survivors owed their rescue in large measure to the tireless, efficient and in many cases heroic action of the people of St. Lawrence, Newfoundland.